Generally speaking, consuming aloe juice will not pose any major health risks. Even natural substances, however, can be dangerous in certain instances. Taking aloe along with certain medications may cause negative effects. 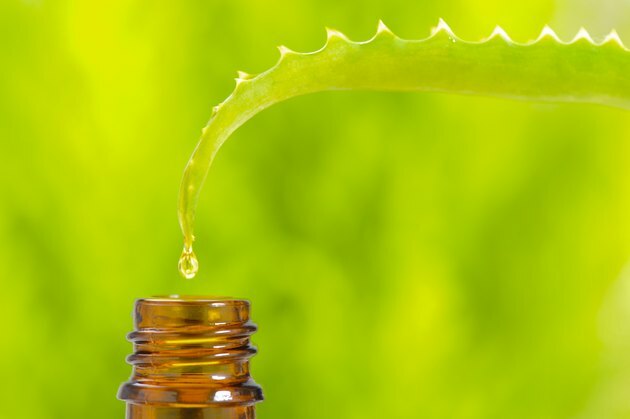 For this reason, it is important to talk to your doctor before drinking aloe vera juice, particularly in large quantities to achieve some sort of medicinal effect, if you currently take any prescription medications. The Beth Israel Deaconess Medical Center reports that consuming aloe juice might lower blood sugar levels. This positive effect could actually turn negative when combined with insulin or other medicines designed to do the same, by causing hypoglycemia, or low blood sugar. When consuming a substance with a similar effect as a medicine, you often need to reduce the dosage of the drug to compensate for these effects. If you have an interest in using aloe to treat diabetes, work with your doctor, who can monitor your treatment and determine if you require such a change; do not make this determination on your own. Potassium serves many important purposes in the body, and maintaining proper levels is important. Some medications, such as thiaizide diuretics -– used to treat hypertension — and the heart medication digoxin, can reduce potassium levels in the body. Aloe vera has laxative properties and prolonged use could further reduce potassium levels, leading to dangerously low levels. Your body contains a variety of enzymes that metabolize substances, such as herbs or drugs, that come through your body. The Memorial Sloan- Kettering Cancer Center, MSKCC, reports that aloe vera has been shown to inhibit the actions of the enzyme CYP2D6. This could lead to increased concentrations of the medications in your body, leading to issues such as a greater risk of side effects, among other problems. Tricyclic antidepressants and other drugs used to address mental and emotional disorders are among the drugs that require this enzyme. MSKCC reports aloe also appears to inhibit the actions of the enzyme CYP3A4. According to the magazine ''Pharmacy TImes,'' 50 percent of all drugs on the market are broken down by this enzyme. The fact that aloe juice affects these enzymes does not automatically imply a reaction, but it is certainly possible. If you take any sort of medication, it is always prudent to check with your doctor before using natural supplements in any form.